HOME TO CLASSIC SURF BREAKS, carefree vibes, and 250 days of sunshine a year, Ventura is the quintessential California beach town. Think sweeping coastline and swaying palms, flip flops, wetsuits, old Volvos hauling surfboards, fish tacos and Tecate beer, and sunsets that never seem to end. 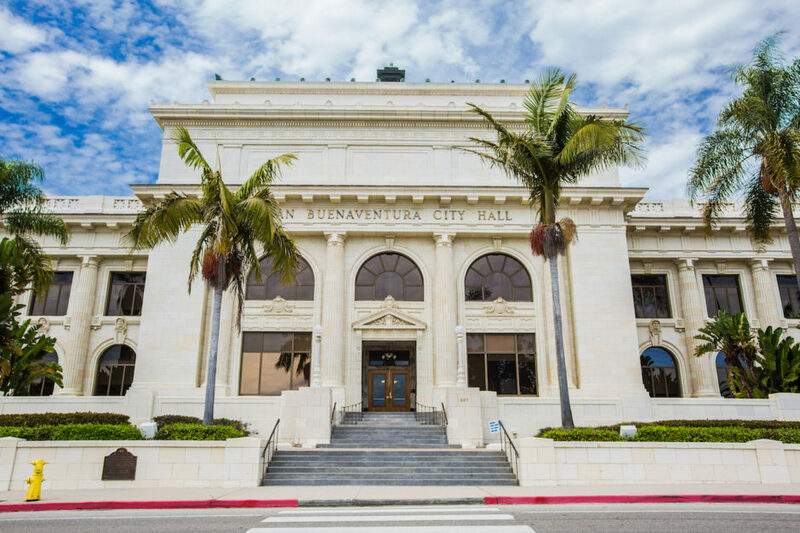 Despite being sandwiched between two of the state’s wealthiest regions, Ventura is decidedly laid-back. Expect an unpretentious-yet-dynamic scene. The arts play a big role here, and all those creative types need places to mingle. This means an abundance of bustling bars, cafes, restaurants, and music venues. Add in the surrounding area, and Ventura kinda seems to have it all. Here are 11 experiences not to miss. It’s hard to find a Venturan who doesn’t surf at least occasionally. This may have something to do with year-round breaks suitable for all levels. Surfers’ Point is a classic spot divided into three sections: Pipe, Stables, and C-Street. Sand buildup and the Ventura River play big roles here. Up the coast, at the Cove section of Rincon, the wave of surfer dreams forms September through January. When sand, swell, wind, and tide line up, it’s flawless. Mondos has small, mellow waves perfect for beginners and longboard cruising. Maybe all this is why professional surfer, environmental activist, and all-around superstar Mary Osborne has her digs right here on Main Street. You can hit her and her team up for surf lessons (private or group, beginner or advanced) and for yoga camps (bonus if you do yoga on the water). She’s been surfing, teaching, and winning awards for years and is one of the most trusted names in the industry. Amazing Mexican food in Ventura County is commonplace. And I don’t mean white-washed Tex-Mex; I mean Mexican-grandma-style food. These three perennial favorites are all found on Ventura Avenue downtown. Lalo’s never disappoints with their killer tacos (the buche and al pastor are top notch). Just about everything at Taqueria Cuernavaca is excellent, with a free salsa bar to deck out your dinner. Opened in 1962, Johnny’s has been a staple for generations of Venturans. Burritos and enchiladas reign supreme here. Start out sampling beer inside Anacapa Brewing Company’s 120-year-old restored brick building, or chill on their dog-friendly patio with a Pissy Pelican Pale Ale. Then move on to Surf Brewery — a no-frills joint celebrating local surf culture with their decor and beers — and try the award-winning County Line Rye IPA. Stop by on Saturday evenings for live music. Definitely check out Topa Topa Brewing, MadeWest and Poseidon Brewing as well — though more recent additions to the scene, they’ve both quickly gained a loyal following with their tasty and innovative brews, with 16 rotating beers on tap. And then there’s the true new kid on the block, Leashless Brewing. A ten-minute drive from Ventura’s harbor leads to this sprawling hillside 9-5 escape, just north of downtown. Over 100 acres of grass provides room for picnics, sports, and dogs to run free, but it’s the trails above that make Arroyo Verde special (Ventura is big on hillside conservation). A haven for trail runners, these undulating paths more often than not lead to wide-open views of Ventura, the Pacific, and epic sunsets. The 2.9-mile loop trail gives you an orientation (with some incline), but there are lots of forking trails to choose from. You’ll need to bring $2 on weekends for parking, but admission — and ocean views — are free. Minutes from the beach, downtown Main Street blends local heritage with an always-fresh lineup of independent shops and eateries. Tattoo parlors and bookstores neighbor modern wine bars and fine restaurants. For some local history, join a tour or explore on your own at the San Buenaventura Mission. The original mission was founded back in 1782, before the town existed. Check out its centuries-old bells at the built-in museum — they’re made out of wood. Hunt for secondhand treasures on a “thrift shop crawl” in downtown’s many secondhand shops — shoes, knickknacks, frying pans, whatever you need is on offer here. Grab coffee at Palermo, and take in artwork by local artists at Latitudes Fine Art Gallery. Try Himalaya for some of the best Nepali and northern Indian food (pro tip: butter chicken). Standout restaurants include Rumfish y Vino, Lure Fish House, Paradise Pantry, Café Fiore, Capriccio, and Rice by Mama. 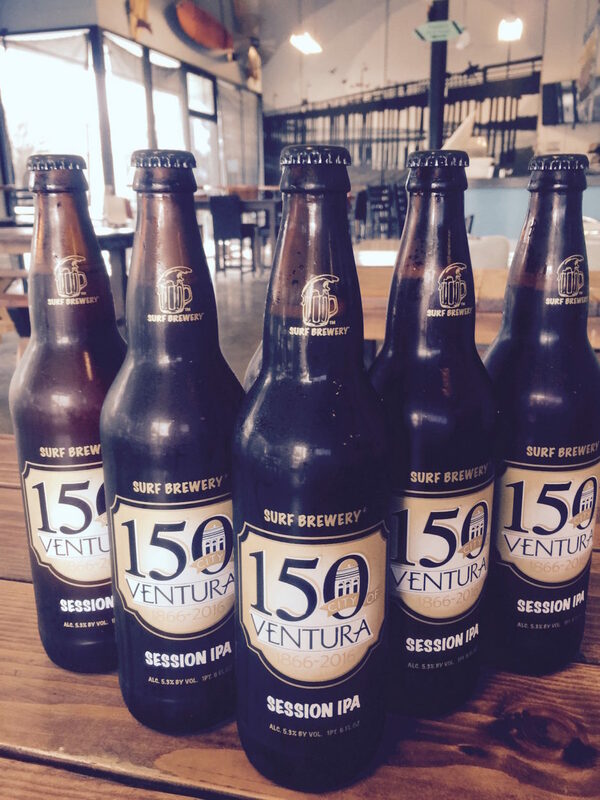 In operation since 1963, Ventura Harbor is a launching pad to adventure and offers ample waterfront dining options.Brophy Bros and Andria’s Seafood Restaurant and Market are favorites for seafood — fresh lobster and homemade clam chowder, for example. Check out The Greek for authentic Greek cuisine, dancing, and ouzo. The place has been family owned and operated for more than 20 years. Guided diving and fishing excursions run daily from here, too. Sunset kayaking or SUPing with a backdrop of Topa Topa Mountain bathed in pink light never disappoints. 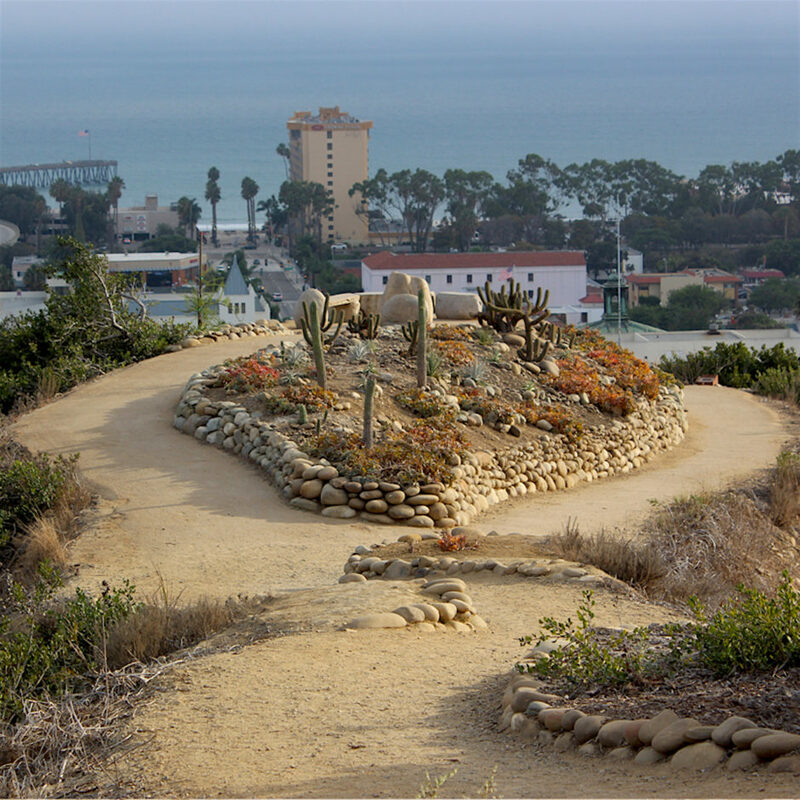 One of the best panoramas in Ventura is seen from this hill behind city hall at Ventura Botanical Gardens. Free trailhead parking leads to an uphill — yet not strenuous — hike, a little under a mile. This isn’t your typical botanical garden, but rather a collection of trailside succulents, cacti, and at least 150 other Mediterranean plants. In spring, poppies, lupine, and Mariposa lilies put on a colorful show. Dogs are welcome, too. Buy fresh, sustainably farmed oysters and clams at this little trailer. Then shuck, slurp, and bake right at the beach. It’s next to a state park with benches and BBQs — the ideal spot to soak up the ocean air and glorious sunshine. The real kicker? You can bring your own cooler full of beer, champagne, or white wine to wash down the shellfish. It’s completely legal. But don’t get too carried away — shucking knives and drunkenness don’t mix. If you plan to hang out a while, you’ll have to pay the $10 park fee, well worth it to keep this beachside tradition going. For the best burger in town paired with local music nearly every night, check out Bombay Bar & Grill on California St. Everything from folk to trance can be heard here, and they say they have the longest bar in the county — it apparently measures over 100 feet. You can also catch national touring acts at the palatial 1920s-era Majestic Ventura Theater. Bands like Bad Religion, Steel Pulse, and Gogol Bordello rock this place to the ground. Finish off your night at the infamous Sans Souci, a dive bar across from the theater. A local favorite since 1981, Real Cheap Sports is the spot for outdoor gear. Also a Patagonia outlet, RCS stocks last season’s performance apparel at reduced prices. The staff here know their gear — just about every serious climber or backpacker from the area has worked here at some point, and regular storewide sales attract gear-junkies from all over the county. The local Patagonia obsession makes sense — the company has its headquarters in downtown Ventura. Head out into the Pacific Ocean with Island Packers from Ventura Harbor to check out this watery national park and marine sanctuary. Keep an eye out for whales, dolphins, and sea lions as you approach the string of protected islands. Santa Cruz Island is the largest — three times the size of Manhattan — and offers 360-degree views from its many trails and sea kayaking along its craggy perimeter. Rent a kayak and explore the sea caves along its coast (including one of the largest and deepest in the world), or camp, surf, sail, snorkel, dive, or just chill out. Sometimes called “the American Galapagos,” Santa Cruz Island alone is home to 60 different species of flora and fauna that don’t exist anywhere else on Earth.